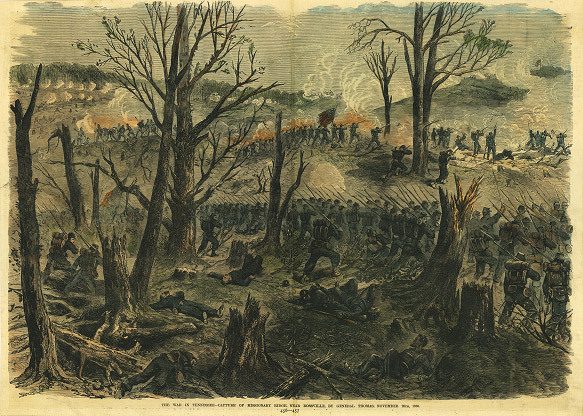 The Tennessee Civil War Sourcebook is a searchable collection of over 7,000 articles chronicling the Civil War in Tennessee from September 1, 1861 through September 30, 1865. This sourcebook aims at chronicling the military, economic, social and political history associated with the Civil War as it happened in Tennessee. The sources consulted were diaries, period newspapers, official Civil War records, diaries, ship deck logs, letters, and historical articles. There are well over 7,000 entries in this collection. It was found in the course of research that the sources available were numerous, challenging to use and sometimes complicated to consult. To circumvent the volumes of indexes, directories, books - and time needed to research them. It was decided to compile a documentary collection that would speak to the Tennessee Civil War experience. It was created to help lead to better a understanding and appreciation of the endlessly fascinating story of the Civil War in the Volunteer State. The effort took ten years of careful research, duplication, compilation, editing and computer program formatting. The latter task was an innovative process that led to an innovative means in which to get the information to the user. When details of history are obscured by circumstances of inscrutability, citizens may become imperfectly informed of their own past and worse, distrustful of their institutions. This work will have been successful should it be of some help in overcoming such a state of affairs. This collection may help expose more of the past than is already familiar to the public. It is likewise an effort to do what all historians wish to accomplish, not to rewrite history, but to reconstruct the past. The Sourcebook was created by James B. Jones, Public Historian with the Tennessee Historical Commission.